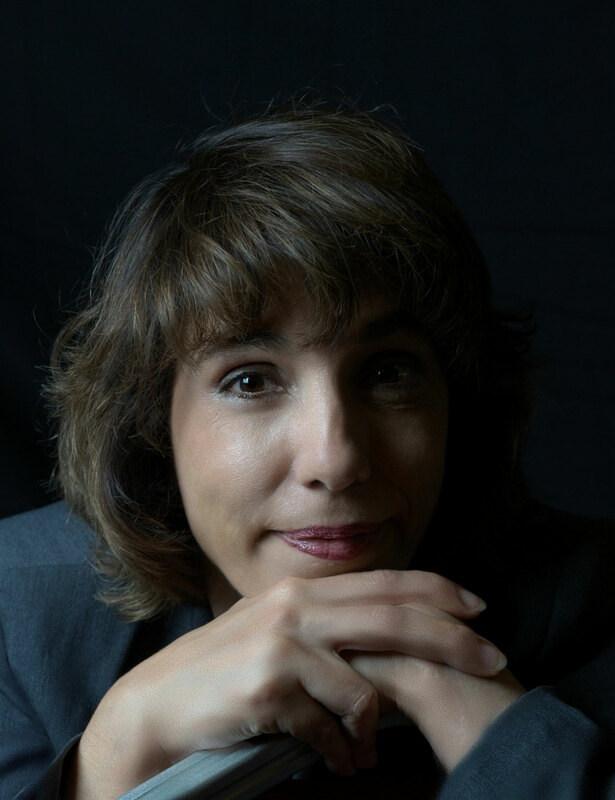 Bestselling author, Dr. Rita Louise is the host of Just Energy Radio and the Founder of the Institute Of Applied Energetics. 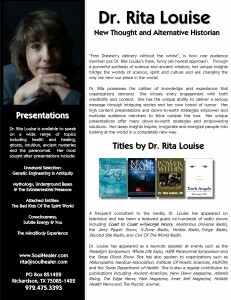 She is the author of the books Stepping Out Of Eden, The ET Chronicles: What Myth and Legend Has To Say About Human Origin, Avoiding The Cosmic 2X4, Dark Angels: An Insider’s Guide To Ghosts, Spirits & Attached Entities and The Power Within as well as hundreds of articles that have been published worldwide. 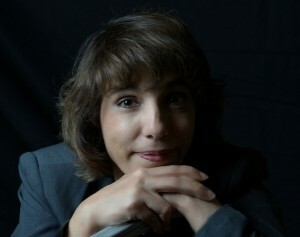 She is also the producer of a number of videos whose titles include: Holy Deception, iKon: Deconstructing The Archetypes Of The Ancients, The Truth About The Nephilim and Deceit, Lies & Deception: The Reptilian Agenda. 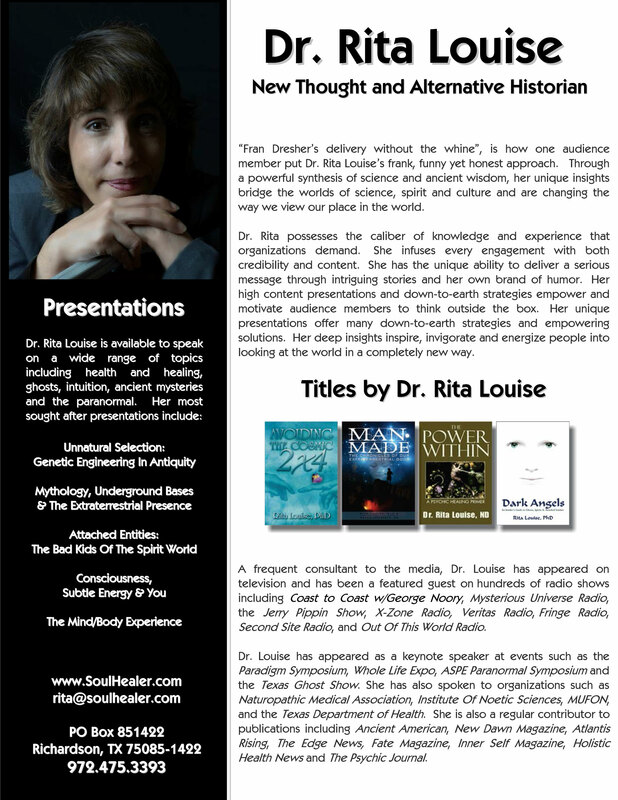 Dr. Rita has appeared on radio and television and has spoken at conferences covering topics such as health and healing, ghosts, intuition, ancient mysteries and the paranormal.